No matter how great your HR team is, there are times when looking to Milwaukee headhunters to fill top jobs in your company is a smart idea. Whether you are a hiring manager in a large company or the owner of a small company looking to hire a key staff person, a talent acquisition firm has the special expertise you need to discover and vet the candidates for your final determination. While an executive search firm cannot tell you who to hire, they can do the legwork required to make sure that candidates you meet with check out as potential candidates for your company. When Should You Call Milwaukee Headhunters? What are the circumstances in which using a search firm will be particularly helpful? You are hiring for a senior level position. When you need a president or other senior executive, you may want to look beyond your geographic area to find someone with the specialized experience and background you seek. Headhunters are more familiar with national sources that solicit good candidates and are equipped to reach beyond the resources you may be familiar with. You need candidates whose skills equal the resumes. Anyone can exalt their credentials and titles on a resume. Headhunter firms take the time to make sure that when someone says they have specific experience in managing a company of 500 or has turned around the profit a small company that they really do have that background. Beyond mere fact checking, recruiters thoroughly research candidates’ credentials. You have job openings for mission-critical positions. Hiring mistakes are costly on any level, but when you need someone to direct your company or manage an important business group or project, you want someone who not only has the technical skills, but also has the personality, communication skills, and vision to take on the job. Headhunters are attuned to red flags in candidates’ backgrounds that may cast out on their ability to do the job you need. You are not sure what you need, or there is internal disagreement about the best type of candidate to fill a position. When you seek a president for your technical company, a person with industry experience and a background in engineering management, or one with advanced degrees in the subject matter could fit the bill, each offering different strengths. Those on the internal search committees might have their preference. 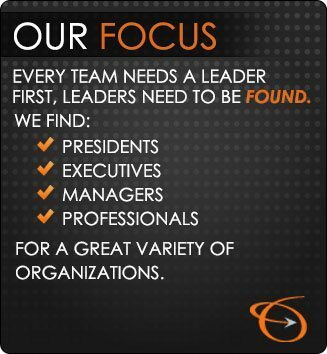 A search firm can utilize knowledge of your organization and their own experience to impartially present candidates. Hiring senior-level people is a time-consuming, exhaustive job that can take away from other responsibilities. If you do not routinely hire executives, you may not have the resources needed to do the thorough job required. Milwaukee headhunters at the Lawler Group have the resources and the specialized knowledge of various industries to seek out candidates you will want to consider. As part of the worldwide MRINetwork, they have the credibility, the databases and sourcing techniques, and the experience to do the legwork that will yield the best possible talent to fill your open position. No matter how challenging your search, contact the Lawler Group for assistance in finding presidents, executives, managers and other integral professionals.